Happy 4/20 | Jon Katz, P.C. April 20 has become a significant date to focus on the need to legalize marijuana. I have frequently blogged in favor of marijuana legalization, and have touted marijuana’s medicinal benefits that necessitate its being legalized for medicinal use. Over the years, the marijuana legalization movement has made significant inroads towards legalizing medical marijuana and reducing the penalties for simple marijuana possession. 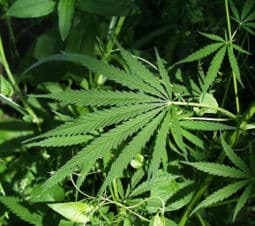 It is entirely inaccurate to view the marijuana legalization movement as a bunch of stoners not to be taken seriously; moreover, many marijuana users are far from stereotypical stoners (including emeritus Harvard Medical School Professor Lester Grinspoon and Cosmos co-authoer Ann Druyan). By now, the marijuana legalization and drug reform movements have gone very mainstream, to include many people, like myself, who do not even use illegal drugs. Jon Katz.